Burns (8), Drummond (13), Bonar (75). The home side took the lead in the 8th. 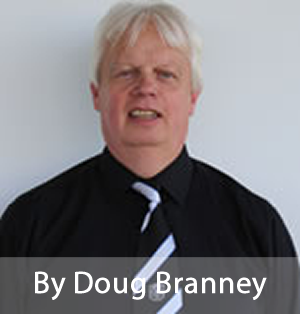 minute when poor defending down the left let Burns run unchallenged from the half way line into the Gretna penalty area. The Stirling right back had time to pick his spot before hitting the back of the net passed the exposed Murray in the visitors goal, 1-0. Stirling increased their lead from a disputed corner kick, Drummond knocking the ball into the net through a crowded six yard box, 2-0 in the thirteenth minute. Anderson brought out a good save from Marshall as Gretna tried to get back into the game, his long range effort turned behind for a corner.Milligan then spurned a good chance on the edge of the box but his shot was weak and straight into Marshall's arms. Gretna pulled a goal back two minutes before the interval when Slattery's precision cross found Longcake in front of goal where he beat two defenders before scoring, 2-1 H/T. The second half began with the visitors pressing for an equaliser with Anderson, Milligan and Slattery going close as Stirling struggled to get out of their own half. Marshall was the Stirling saviour in the 60th.minute when he brilliantly turned Wallace's header from under the bar for a corner. As in most cases of teams chasing an equaliser they leave themselves open to a counter. In the 75th.minute Stirling broke upfield and Bonar notched the home sides third and decisive goal. Gretna to their credit continued to press for another goal but with the heavy pitch the players did not have the legs to get up and down the park. The game finished 3-1. Stirling : R.Marshall, C.Burns, M.Sheridan, B.Cuff, J.Drummond, K.F, J.Cassie, P.McAfferty, C.Geddes, C.Williams, A.Gillan. Subs: L.Bremner, O.Kelly, D.Munguel, E.Tennant. 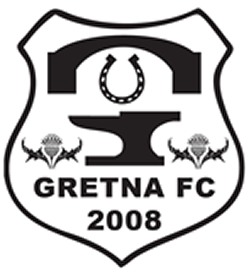 Gretna FC: C.Murray, D.Graham, A.Inglis, D.Wood, D.Wallace, D.Addison, B.Longcake, A.Main, I.Anderson, S.Milligan, J.Slattery. Subs G.Cowper, R.Halliday, C.Graham.